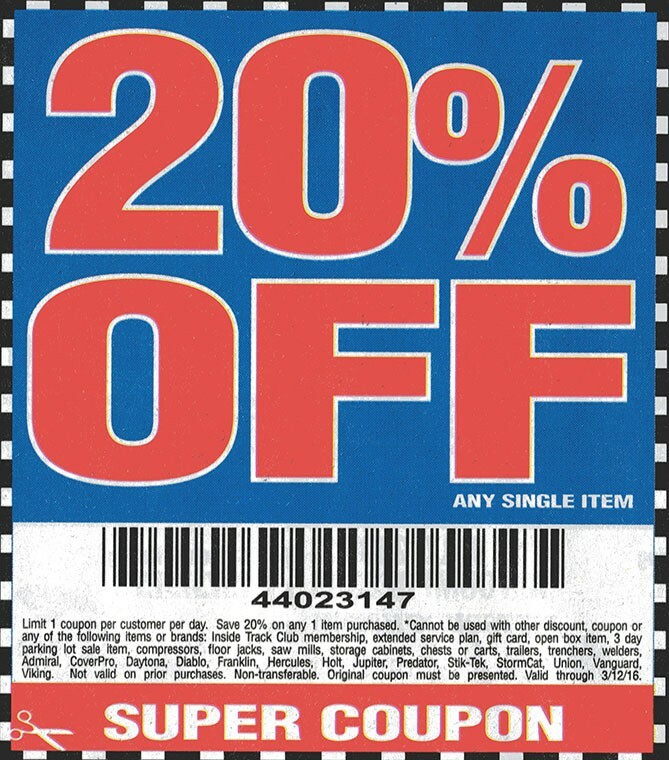 Save 20% on any 1 item purchased at Harbor Freight Stores online. Some restrictions apply. Limit one coupon per person. 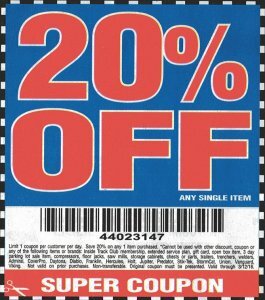 You might be able to print this coupon for use in stores.